Receiving an invite in your inbox to review a new children's truck, which can push or tow over 200lbs isn't an every day occurrence, actually, I've never come across anything like it, nor have I seen a similar product on the market, and so I was intrigued to read on more, I was sure I'd come across some kind of statement making it not true! 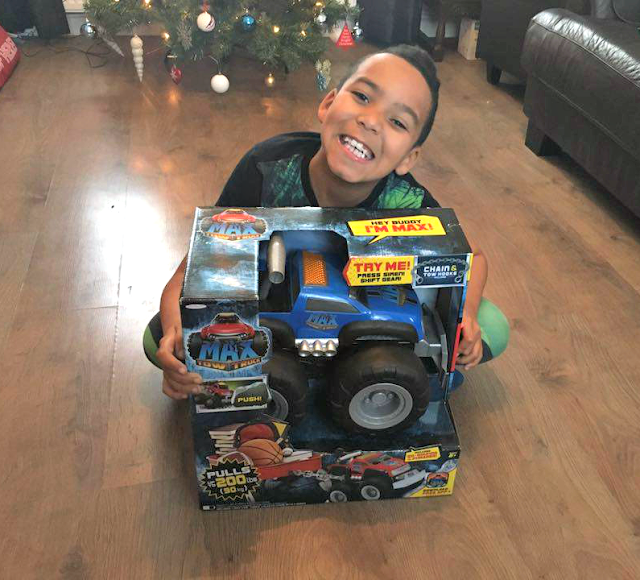 Spud loves trucks and cars of all sorts of sizes, so I was interested to see what his thoughts would be on a special truck that can push and pull more than his mummy most probably could! Spud's first thoughts on Max was wow, he's really, really big! I think he was most pleased we was sent Max in blue, as blue's is Spud's favourite colour, however, it wasn't the size or the colour Max was living up too, we were going to test out Max for what he says he can do, climb most obstacles and of course push or pull up to 200lbs! Max comes in quite a large box, however, you'd not expect a large truck, that can pull and push so much weight to come in a tiny box can you!? The box isn't fully sealed, giving you the chance to press down on Max's siren to try him out, you also get to feel his wheels, which I done, and didn't know how they were expected to add on so much weight! • Max can pull or push up to 200lbs (90kg) of weight. - upto 200 American footballs. - upto 600 American baseballs. - upto 1800 American golf balls! • Max has over 50 sounds and phrases). 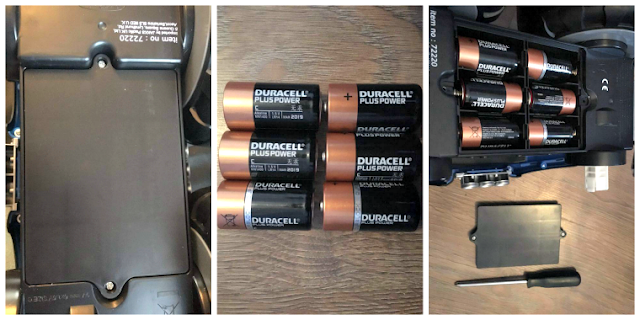 • Max requires six C batteries. • Max has a free downloadable app! All you need to do before Max is ready to go, is add two of Max's wheels on until they click into place, you simply line them up and push gently until you hear a clicking sound! 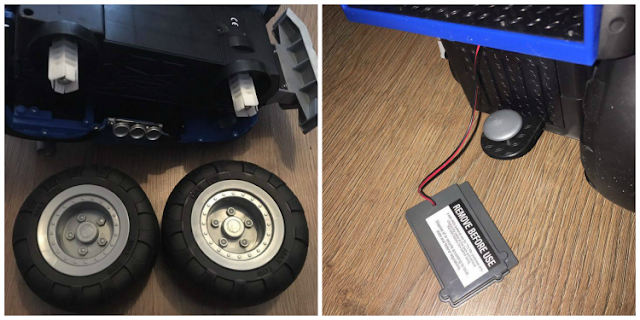 You also need to remove the battery pack that comes attached to Max, this is included simply for the try me mode, however, they won't operate Max fully! Max requires six C batteries to operate fully, and getting to the battery compartment is extremely easy! It's located underneath the trucks main body, and requires a small screwdriver to unscrew and screw back up two small screws. Once Max is battery powered, you have the option to place his button into one of three positions; on, off or try me. Once Max is powered up, we were ready to put him to the full test, and of course Spud had a whole line of products ready for him to try! I've listed the skills of Max below, and how you can get him to do each task! 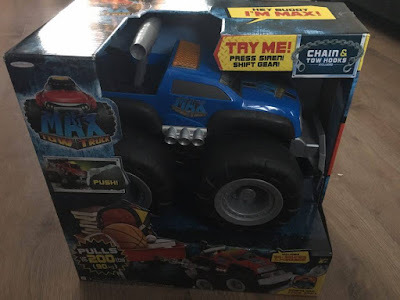 Pull: To get Max to pull an item, simply link his chain up to him and the item where possible, pull Max's shifter, then watch him take on the challenge! Push: To get Max to push an item, push his bumper, then pull his shifter to watch him go! Climb: To get Max to climb an obstacle, press his siren, then pull his shifter and watch him climb! 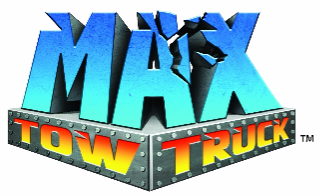 Spud didn't want to break Max, as he quickly become quite fond of him and announced he was the best car truck ever, so wanted to stick with lighter objects! 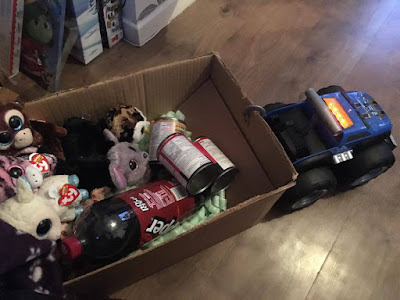 Spud filled a box full of his favourite teddies, which I knew would be easy work for Max, but I was soon able to persuade Spud to add a few 2litre bottles and tins of beans to see how well Max could perform! Well, Max didn't need testing at all, he towed, pushed and climbed anything we put in front of him! I've uploaded a few videos below for you all to see, I understand they don't look the heaviest of objects, but if you check out more videos on YouTube, you'll find Max pulling fully grown men in a cart, he's just the most coolest, strongest toy truck we've ever seen! In the video below, you can see Spud operating Max to get him to tow our advent house, filled with lots of baking weights! Max found this too easy, only stopping when Spud and Gareth both reached for Max's siren! In this video below, you'll see Spud operating Max in the push position, so Max pushes our advent house, again Max has no problems doing the task, and is only stopped when his siren is stopped! Last but not least, the following video shows Max climbing an obstacle, we didn't really have much to make out of an obstacle, and as it's been wet and windy all week we didn't want to take him into our garden, so cushions it was, but Max still pleased us! Max is available to buy from all good leading retailers including Argos, Smyths, Tesco, Amazon and The Entertainer for a RRP of £59.99, however he seems to be on offer at all of the above names retailers! 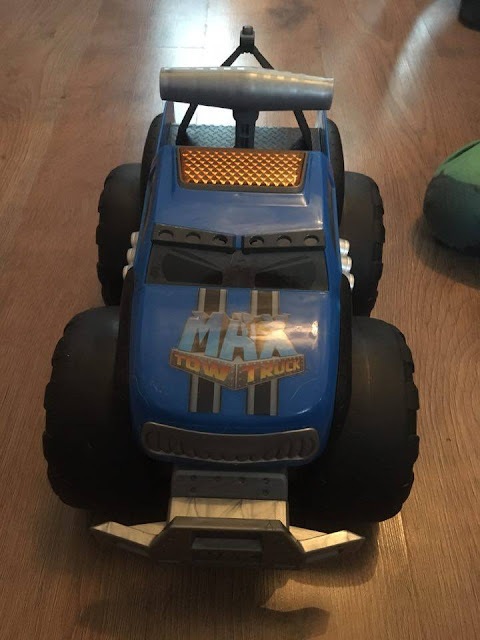 Max's range doesn't stop there, he also has two other items available, including the Max Tow Off Road Playset (RRP £19.99) where you can climb up and over the mountain pieces and see how much you can tow over rough terrain and random obstacles! 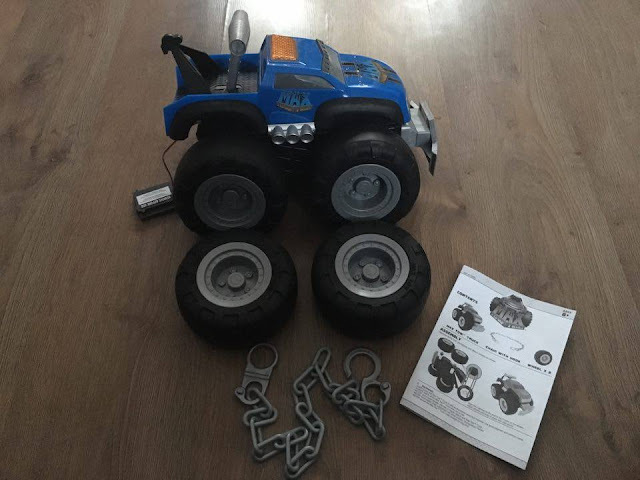 There's also a variety of Max Tow Truck Mini Haulers (RRP £6.99), which come in a variety of styles and colours, and who can push or pull up to five times their weight!